All sports are not the same, so why should your sports socks be? Falke has ergonomically designed these purpose-perfect race biking socks for all serious cyclists. 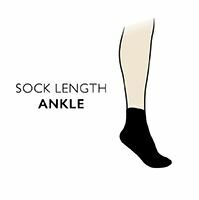 Falke BC5 Low Volume Road Cycling Socks are light volume and light cushioned to keep weight and bulk down, putting most of the cushioning to the ball of the foot. These anatomically shaped right/left specific socks have handlinked toes for smooth seams, open mesh structure tops with smartcel technology for breathability, and comfort tops. If you are serious about your cycling, be serious about your choice of socks too.